In our current cultural moment, contrasting political and philosophical views are typically vilified and some are demonized for their perspectives. Unfortunately, the Church is no exception for these behaviors, even though so many of us value the ideal of respecting others regardless of where they stand on today’s issues. Can Christians who disagree about the nature of the Bible, the exclusivity of Jesus, and God’s views on sexuality and gender speak and listen to each other in an honest, yet respectful manner? If the Church can’t, how could we expect political pundits to do so? Jude 3 Project is an organization with a mission to help the Christian community know what they believe and why they believe it. More specifically, Jude 3 Project addresses issues faced by Christians of African descent. The organization has quickly become an established authority in the realm of curating and clarifying the Christian faith in the midst of controversies that uniquely impact the African Diaspora, which is why they launched the annual Courageous Conversations Conference. The first national event of its kind, Courageous Conversations brings together Black scholars from different theological traditions and convictions to discuss and debate those differences in front of a live audience. The 2018 Courageous Conversations at Progressive Baptist Church in Chicago brought together some of the most prolific, progressive, and traditionalist scholars to discuss a number of hot-button issues. Paul vs. Jesus: Whose Words Carry More Weight? Exclusivity vs. Inclusivity: Is Jesus the Only Way? The event was amazing in many ways, and Jude 3 Project is sharing video for Courageous Conversations to make these discussions more widely available. The format gave panelists an opportunity to state their case and the moderators facilitated discussion amongst the panelists. Progressive pastors and scholars such as Dr. Renita Weems and Dr. Wil Gafney were joined by traditionalists like Dr. Esau McCaulley, Dr. Charlie Dates, and Dr. Carl Ellis to answer some very provocative questions. The facilitators were also accomplished in their own right. Truth’s Table Podcast hosts, Dr. Christine Edmonson, Ekimini Uwan, as well as hip-hop artist/activist Sho Baraka, and pastor/educator Dr. CJ. Rhodes masterfully navigated the dynamic discussions. For the full list of Courageous Conversations speakers, click here. It is possible to disagree without being disagreeable. Courageous Conversations demonstrates that those with deeply differing beliefs can discuss those views in a public setting and still walk away with a mutual respect, and even love, for each other. This behavior modeled in the Church could serve as an example of the peace possible when we seek to understand and be understood in the midst of a deeply divided partisan era. In addition to reminding us about the humanity of those “on the other side” of an issue, we see that a dialogue with someone of a different mindset can challenge and sharpen the reasons behind our shared beliefs. In this regard, Jude 3 Project spotlights an unexpected hope. Perhaps, the change we desire within the partisan bickering that characterizes much of the present can be found in the next generation--equipped with not only theological convictions or a commitment to justice, but armed with the ability to have courageous conversations. Millennials and GenZ care about theology. Courageous Conversations is organized by Lisa Fields, an African American millennial woman who specializes in engaging the digitally connected, especially of African descent. While the common narrative is that millennials and GenZ demographics are apathetic to faith, the reality is more nuanced than that. As the Barna Group’s research reveals, if the emerging generation is engaged with culturally relevant spiritual content, that generation shows significant interest. The active social media engagement of Courageous Conversations online exposes the robust interest in theological issues (see #J3PNCC on Twitter). Overwhelmingly, those who attended the event and engaged on social media also represent those born between 1980-2000. Questions and answers about what Christianity truly teaches still matter to those who were shaped by the Church, especially the Black Church. Know what you believe and why you believe it. When we get to observe informed and thoughtful scholars engage on important theological issues, we all win! The historical significance of Courageous Conversations is that we have new access to see these thought leaders interact in real time instead of researching their various perspectives. Thinking deeply and alongside experts about important questions provides a more informed and reflective worldview, as well as stronger convictions about what you believe. So whether you resonate more with a progressive embrace of mystery and skepticism of authoritative answers, or you resonate with a traditionalist approach emphasizing what has been revealed and historically held, you will have more insight into what you believe. During the panels, the contrasting approaches to knowledge often manifest in pondering the role of the Bible within faith and practice for the Christian church. Where do you stand on this central issue to the Christian faith? Courageous Conversations can help you clarify that. We need a “Side A + Side B” Church. How do we reconcile the tension of pragmatism (a focus on what works) and idealism (focus on what’s true)? We’ve all heard the axiom: Practice what you preach. But should you preach it because it’s a good thing to practice, or practice it because it’s good preaching? Courageous Conversations challenges the viewer to thoughtfully consider how to value and esteem Side A and Side B of Christianity. One moment that vividly displays this dynamic is in the discussion on “Paul vs. Jesus: Whose Words Carry More Weight?” During the dialogue, one scholar suggested that her ethical (Side B) framework causes her to critique the teachings (Side A) of figures like the Apostle Paul, and even Jesus himself. Another rebutted that only by accurately studying and understanding the teachings of the Bible (Side A) can we come to an accurate understanding of how to behave ethically (Side B). Separately, in his classic discussion of church dynamics, Dr. Carl Ellis touches on the tendency for dominant forms of Christianity descending from Western Europe to focus on “Side A” or “right doctrine,” while other faith communities such as the Black Church have prioritized “Side B” (or ethics and intuition). Overall, the contrast between views on this panel is obvious, and yet all the arguments are valid. Which should inform the other? Ethics or doctrine? These conversations can refocus those important questions in new and refreshing ways. Discover how and why the long walk to freedom was led by the Black Church. Historically, the Black Church has responded to the challenges of racism and white supremacy by finding common ground across theological lines to strengthen its resistance. The approach to welcome solidarity across denominational and theological lines was necessary for survival, and provides a blueprint for the future. Of course, there are differing views on how to best fight for justice, but generally, there was more agreement on this issue than any other. In a recent Jude 3 Project podcast, Dr. Nicholas Rowe pointed out one of the more interesting facts about the first established black church in the United States: the African Methodist Episcopal (AME) Church. After experiencing the racism in the church that he had served in, Richard Allen founded the AME Church to faithfully live out the mission of the gospel and serve the Black community without the indignities or false doctrine of white supremacy. Interestingly, Allen received the blessing from Francis Asbury, a Methodist bishop whose own convictions aligned with those we would call today “traditionalists” or theologically conservative. Asbury believed the Bible was inspired, that Jesus was the literal incarnation of God, and that salvation only came through him. Yet, Dr. Roe, also pointed out that Allen received financial support from Benjamin Rush, a signer of the Declaration of Independence, and one who would be considered “progressive” in light of his belief in universal salvation and criticisms of established orthodoxy. Rush supported the AME Church, not out of his commitment to Methodist doctrine, but because his progressive politics and ethics were vehemently opposed to slavery and supported Black dignity. Embracing the support of both men, and charting a course altogether unique, the existence of the Black Church has historically straddled the line between traditionalist and progressive. It has found value in discourse instead of argumentative debate and has led the way as the moral compass for the nation and the foot soldiers of justice. Courageous Conversations gives us a new opportunity to walk in our callings and convictions. Watch the full series of panels and engage in meaningful dialogue about some of the most important doctrinal and ethical issues facing the church today. 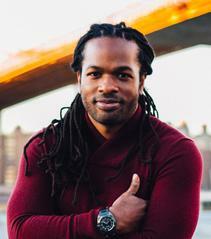 Rasool Berry is the leadership development pastor in with the Bridge Church in Brooklyn, New York. He is a speaker who loves teaching spiritual truths from the Scriptures especially to college students and millennials. Rasool is a cultural observer and catalyst to spark a movement of thoughtful, bold and proactive faith in this generation. In communicating, Rasool is passionate about bringing to life the universal themes of creation, fall, redemption and restoration. Rasool has been on staff with Cru for 17 years. Rasool is passionate about sports, hip hop, food, and inspiring people to live in light of eternity! Rasool graduated from the University of Pennsylvania with a Bachelor of Arts in Africana Studies and minor in Sociology. He is married to the love of his life, Tamica. They have one daughter, Ire’Ana. They live in Brooklyn, NY.